BP Federal Credit Union is a not-for-profit financial cooperative serving BP employees and their contractors worldwide. Founded in 1937, the credit union has thousands of members and assets of more than $100 million. 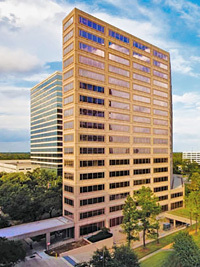 BPFCU has three branches on BP’s west Houston campus. Membership is not limited to BP employees. Click HERE to view a list of companies whose employees also qualify for membership in the BPFCU. BPFCU’s more popular services include checking, savings, money market and CD accounts. Loans such as mortgages, vehicle, credit cards, personal, recreational, home equity, home improvement, and lines-of-credit. We also provide low-cost wire transfers, money orders, cashier's checks, no-cost bill pay, more than 55,000 surcharge free ATMs worldwide, check deposit via phone/tablet, and a service network of credit unions where you can perform transactions during extended hours. Please contact us today to get your account started!